When injury strikes, the first thing that most of us want to know is ‘how long will this take to heal?’ Unfortunately, the answer to this can be complicated and requires at least a little understanding of how the different tissues of the body heal. Each of the tissues of the body, including muscles, tendons, ligaments and bone, heal at different speeds and each person will have some variation on those times as a result of their individual health history and circumstances. 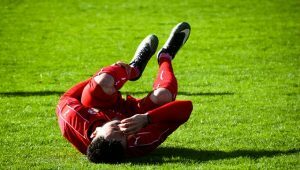 There are some guidelines that can be followed when predicting how long an injury will take to heal based on the tissue type affected. Muscles are full of small capillaries, giving them a rich blood supply, and as such, they have a comparatively fast healing time with 2-4 weeks for minor tears. This time will be extended for larger tears and more complicated presentations. Ligaments and tendons have less access to blood supply and tears to these tissues generally take longer to heal. Larger or complete tears of all soft tissues, may not be able to heal themselves and in rare cases, surgery may be required for complete healing to occur. Similarly, cartilage, the flexible connective tissue that lines the surface of joints is avascular, which means it has little or no blood supply. To heal, nutrients are supplied to the cartilage from the joint fluid that surrounds and lubricates the joint. At each stage of the healing process a different treatment approach is required and our friendly physiotherapists can help to guide you through your recovery. Don’t be afraid to ask us to explain how your injury can be managed best and what to expect in your recovery process. Got an injury you need taken care of? Click here to make a booking with one of our physio’s. → What is physiotherapy and what does a physiotherapist do?